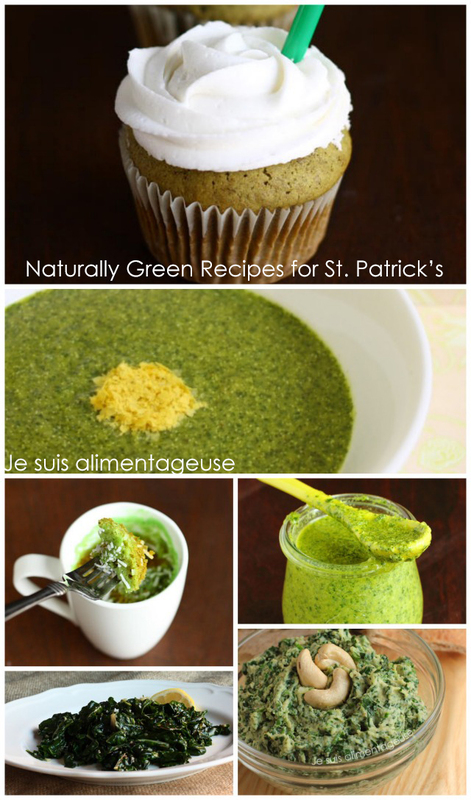 Today I’m sharing some naturally green foods for St. Patrick’s day because I’m a little too preoccupied for an actual recipe today. This week/the last month has been a gigantic ball of chaos wrapped in stress and then dipped anxiety. I honestly just can’t wait until today is over. Today is the 5th Annual Graduate Conference in Translation Studies at Glendon College (York University) and not only have I been a part of the organizing committee for this day since May, I’m also presenting a paper I wrote last fall. I’M SO SCARED. I love academia and it’s such a great place, but the further I wade into it, the more I want to hide behind my camera lens and pipe some cupcakes. I’m excited that they day we’ve been planning since May is finally here, but ultimately I cannot wait until it’s over. So I’m sharing some of my naturally green recipes because I stopped wanting artificially green foods since there are so many beautifully natural green things to eat! Don’t get me wrong, if you still want your green food dye for some green beer, by all means. Go ahead. But here’s some food-colouring-free food if you don’t! All recipes here are vegan, and with the exception of the mug cake and cupcakes, gluten-free! This week’s theme is Healthy (since last week was Happy), and I’m going to talk about why I strive for a healthier lifestyle, and more specifically, who inspires me to be healthy. There are so many reasons why I strive to be healthy. I used to be a dancer (surprise surprise! I’m still the biggest klutz there is though) and as a result, I grew up with a ridiculously skewed idea of what the “ideal” body type was. I was never the slender, long-limbed ballerina I always wanted to be, but rather a shorter, curvier but muscular dancer amidst my fellow slim, graceful friends. Not only that, but Vietnamese culture has a very odd way of perceiving body weight and size. In Vietnam, saying that someone is fat is like telling someone that they have brown hair. It’s just a fact. There’s a word in Vietnamese, “to”, that literally means “big”, but has the connotation of just being big, robust, or sturdy. The word in Vietnamese for fat is “máº­p”, and people would often use the word “to” to describe me, neverÂ “máº­p” though. 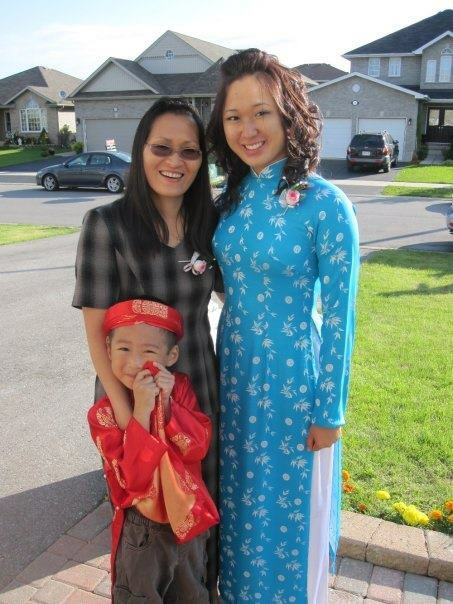 If I had grown up with only Vietnamese ideals and a Viet culture, maybe I wouldn’t feel so bad about my body. However, I grew up in Canadian culture, where a lot of Western ideals like skinny models and slim ballerinas created a very insecure girl. Luckily for me, I didn’t develop any eating disorders. My mom taught me that I needed to eat, and that I needed to eat real, proper food that was good for your body. She was always cooking at home. Cheap, healthy meals made with lots of vegetables and lean proteins like fish and seafood (obviously I don’t eat that now). Eating Vietnamese food and eating at home was always more frugal than going out to a restaurant, so that’s just what we did. My mom and I don’t always see eye-to-eye when it comes to my body weight, but I know she ultimately just wants me to be healthy. Thankfully now I understand what it means to take care of your body, to love your body, and fill it with good food. I’m still working towards the best version of me, but here’s what I’ve got so far! This is from last summer. I’m the same size, but about 5lb lighter. ^_^ I'm glad you're happy and healthy too. Thanks for reading and commenting Katie!